The PKI 5200 is an easy to use, handheld device for direct observations by means of an uncooled thermal imaging system. It provides „round-theclock“ observation, monitoring and security for any military, paramilitary, police or civilian application. Not only problematic areas like border fences, buildings and industrial sites can be surveyed but also hidden objects in cars, cases etc. It also detects human traces like foot- and fingerprints as well as overheating and fires, before flames and smoke become visible. This makes it the ideal, costeffective, warning device for any monitoring task. 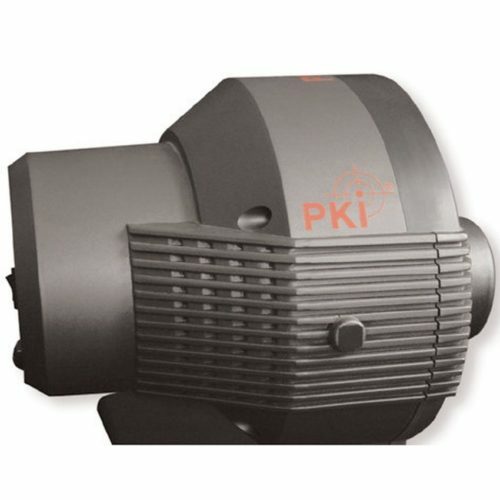 PKI 5200 is an integrated electro- optical system incorporating a microbolometric IR camera for night-vision and a CCD camera for daylight use into a highly affordable unit for monitoring any sensitive location or observing potential trouble spots. PKI 5200 can be fixed to a solid base at a particular observation point and being connected via optical fiber or wireless link for remote display and centralized control by the operator situated at a safe distance. Vehicle mounting for mobile reconnaissance also is possible.